Does your energy company keep you waiting? 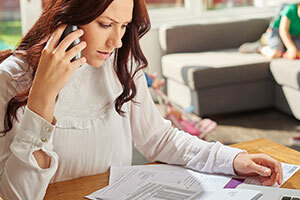 How long would you wait on hold to your energy supplier? Need to get hold of your energy supplier in a hurry? You could be sitting on hold for almost a quarter of an hour before you speak to a real person, a Which? investigation has revealed. Small renewable energy firm Green Star Energy took the longest, on average, to put us through to a human out of the 23 energy suppliers whose customer service numbers we called. It kept us waiting over 20 minutes on a third of calls, and over 27 minutes at worst. Meanwhile, Ebico was fastest to answer the phone again this year, in just 21 seconds on average – 14 minutes faster than Green Star Energy. Six energy companies took less than two minutes on average to put us through to a human – two in five of you* are not prepared to wait longer than this when you’re phoning any company. But nine energy companies kept us waiting for over five minutes when we called their customer services number. Extra Energy and Co-operative Energy have vastly improved since last year, when they were the slowest suppliers to answer our calls. They were 19 and nine minutes faster respectively this year – and Co-operative Energy was the third-fastest overall. Find out what customers really think of their energy suppliers in our energy company reviews. One in ten (12%) people who have switched energy supplier did so partly because of difficulties in contacting their supplier by telephone (online survey of 8,917 adults, October 2016). Though the most popular reason for switching is bills being too expensive (for 52%), customers still value being able to talk to a real person. We made 552 calls to 23 energy suppliers in September and October and timed how long it took for us to get through to a real person. We called each firm’s customer service number 12 times, and its sales number 12 times (or made 24 calls to one, if it doesn’t have both) at set times of day. We calculated the average time as the median of the calls. Every year we find most energy companies answer the phone faster to potential new customers than existing ones – and this year is no different. Utility Warehouse and GB Energy both kept callers to customer services waiting for over five minutes longer than those calling sales. But if you phone Economy Energy or Flow, you’ll get through just as quickly whether you’re a new or current customer, based on our snapshot investigation. And Ebico, Utilita and Eon actually kept new customers waiting for longer than existing ones – by over three minutes in Ebico’s case. iSupplyEnergy and Spark Energy told us that they cannot switch customers over the phone so they don’t handle sales calls. Frustrated with your energy supplier? We’re challenging energy companies to help their customers find better energy deals. Support our campaign for fair energy prices. How do the big energy companies compare? The biggest six energy suppliers occupy the middle of the scoreboard. Scottish Power was fastest of the six to answer calls to customer services this year, while SSE was the slowest of them for the second year in a row – taking over nine minutes. Overall, the average waiting time for customer services has decreased since we last investigated (September and October 2015): from five minutes and 23 seconds to four minutes and 39 seconds.